Paperback, 8.75 x 11.25 in. / 312 pgs / 360 color. Text by Hilde de Haan, Jolanda Keesom. What do you do as an architect when you feel your profession has changed dramatically and you would like to know whether what you have built is actually any good? 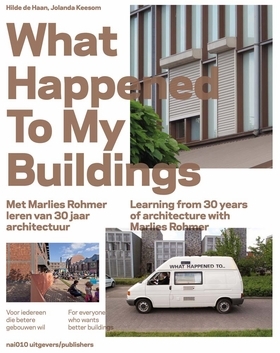 Dutch architect Marlies Rohmer bought a van and revisited 25 of her buildings. She talked with commissioners, residents and users. 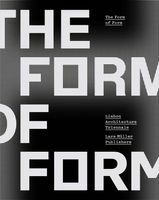 This resulted in a sometimes moving, often hilarious and always informative exploration of what really counts in architecture. In What Happened to My Buildings, authors Hilde de Haan and Jolanda Keesom put these lessons into the broader context of building and residing in cities. The concrete examples from Rohmer’s study start to beg larger questions of cause and effect, of control and contingency: How far do an architect’s individual design choices matter? What part do rules and regulations play? How do the building’s users continue to construct it after the architect leaves? FORMAT: Pbk, 8.75 x 11.25 in. / 312 pgs / 360 color.